There is 1 double room & 1 single room both with attached bathrooms situated on the ground floor within the main Villa. Guests have use of the lounge/dining areas plus kitchen for tea/coffee making. There is a barbecue & sit-out area plus roof terraces for sun bathing. Local transport is in walking distance of the property & rickshaws/taxis can be booked for a reasonable cost. We have maid service 4 days per week. Laundry service available payable locally. Hi, I'm originally from UK & relocated to Kerala 12yrs ago & loving it. Although I came for the 'quiet life' it did not quite work out that way, I now have an Indian tourism & event management company & more recently started writing for the film industry (screen plays & song lyrics). Life out here is busy but I still enjoy meeting new people, welcoming them to my home & sharing the wonders that beautiful Kerala has to offer. 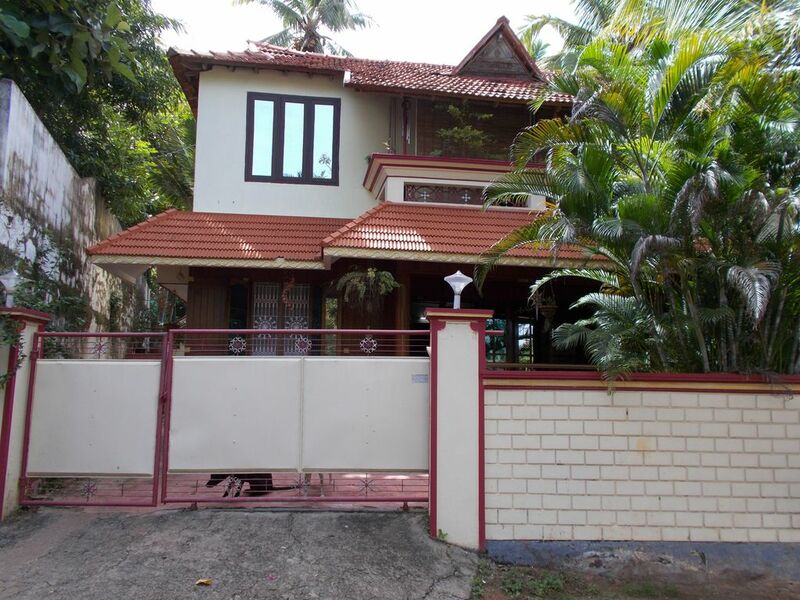 Located in a quiet village area but with easy access to beaches, shops & public transport.